Greek Prime Minister Alexis Tsipras said Thursday he made an agreement with Turkish President Recep Tayyip Erdogan to focus on reducing geopolitical hostility in the Aegean — the broad region where a long stretch of Turkish land meets Greek sea. Tsipras’ statements came the day after a Wednesday meeting at a NATO summit in Brussels, Belgium, where the prime minister said he offered the proposal to his Turkish counterpart. Although both Greece and Turkey are NATO members, the two have had a long history of geopolitical tensions due to various issues such as the 1974 Turkish invasion and subsequent ethnic splitting of Cyprus, as well as Turkish airspace violations in Greek territory. Moreover, instances involving the two neighboring countries in recent months have at times strained their diplomatic relations. For example, Turkish authorities in March arrested two Greek soldiers who had crossed the border during poor weather conditions; both remain in custody yet to be charged, but Turkish courts said the duo could face up to five years in prison for illegal entry. The situation has heightened military tensions, and in April the Greek government sent 7,000 troops to the country’s borders with Turkey. Greek citizens have also voiced outrage, as a group identifying itself as “Greek Mothers” protested the soldiers’ captivity Monday outside the Turkish Consulate General in Thessaloniki. Faced with pleas for the soldiers’ release, Ankara has responded by demanding Athens to send back eight Turkish servicemen whom the government wants to face trial for their alleged role in the July 2016 coup attempt. The eight commandos fled Turkey by helicopter after the failed coup against Erdogan, thereafter seeking asylum in Greece and becoming a talking point for recent tense exchanges between Athens and Ankara. 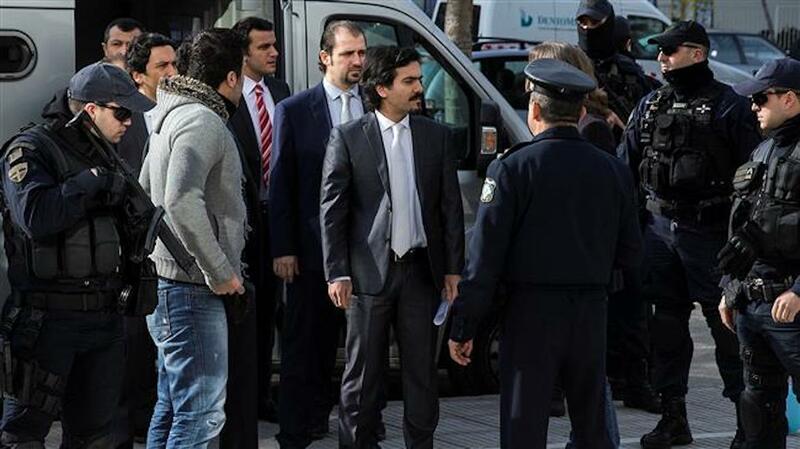 Eight Turkish servicemen who fled to Greece by helicopter and requested asylum after the failed July 2016 coup being escorted by police officers outside the Greek Supreme Court in Athens (January 23, 2017). 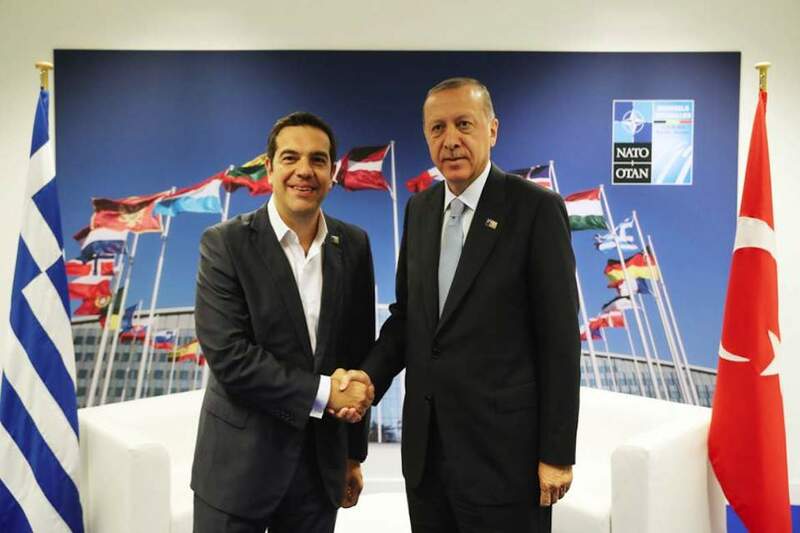 Tsipras said he raised the issue of releasing the two arrested Greek soldiers and faced prompt pushback from Erdogan about extraditing Turkey’s own servicemen. “I stressed, once more — I made clear — that in Greece, the Greek judiciary is totally independent,” he said, referring to the Turkish soldiers’ asylum application process. He said he also re-emphasized the point that the Greek government does not approve of “coupists” or “anyone who attempts the breakdown of democratic order” regardless of country of origin. Greek Startup Company Thriving Despite Crisis, Expanding to U.S.